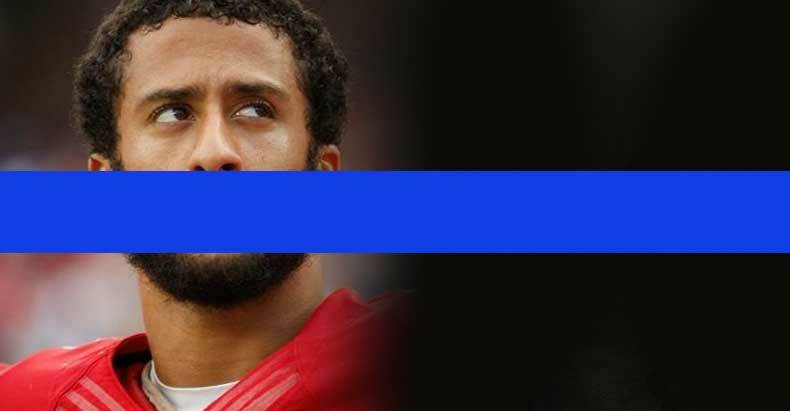 San Francisco, CA — As Colin Kaepernick draws national attention to police brutality through bravely choosing to abstain from participating in the national anthem, his actions are infuriating police across the country. This week, the Santa Clara police union issued a threatening letter to the 49ers promising to stop working the games unless the team “takes action” against Kaepernick. In a scathing letter, addressed to Jed York, the 49ers CEO, the Santa Clara Police Officer’s Association essentially issued an ultimatum demanding the team silence Kaepernick or lose their police service. The letter was obtained by NBC Bay Area and published online Friday night. Our membership acknowledges that police officers are human and are not perfect. However, blanket statements that police officers in general, murder minorities is completely false and insulting to the dedicated men and women in law enforcement agencies across America. These intentional acts and inflammatory statements by Mr. Kaepernick are insulting to the members of the SCPOA. It is apparent, that the 49ers organization is aware of Mr. Kaepernick’s actions. These actions have occurred while Mr. Kaepernick was acting as an employee of the 49ers and at 49er facilities in Santa Clara. The 49ers organization has taken no action to stop or prevent Mr. Kaepernick from continuing to make inaccurate, incorrect and inflammatory statements against police officers, which include members of the Santa Clara Police Officers Association. In other words, because the team failed to censor or otherwise threaten into silence one of their employees, the police union is throwing a temper tantrum. The letter also focuses on Kaepernick’s choice of footwear after the quarterback was seen wearing socks showing pigs in police outfits. Kaepernick, remaining steadfast, defended his choice of attire in an Instagram post on Friday. At the end of their letter, the union then issued an ultimatum, demanding the team ‘take action’ against Kaepernick or lose their police officers. The board of directors of the Santa Clara Police Officers Association has a duty to protect its members and work to make all of their working environments free of harassing behavior. SCPOA members have worked thousands of hours at Levi’s stadium, 49er training camp and headquarters protecting guests, players and fellow employees. Our officers voluntarily agree to work these assignments. If the 49ers organization fails to take action to stop this type of inappropriate workplace behavior, it could result in police officers choosing not to work at your facilities. Please contact us as soon as possible with the corrective actions your organization intends on implementing. This move by the union is entirely predictable as any time celebrities speak out against police brutality they are met with swift action. Earlier this year, cops across the country acted in the same manner toward Beyonce after she called attention to police killings. In spite of their attempts to censor their opponents, however, more people are standing up.